BLACKHAWK!® is taking the award-winning Diversion® line of bags and packs to a new level of style and sophistication with the Diversion Wax Canvas series. The new Diversion Wax Canvas Satchel is made with 10.10-ounce Army Duck Martexin Original Wax Canvas and is the perfect size for everyday carry. It holds small and medium-frame handguns and offers easy, discreet access with a pass-through waterproof zipper in the lid. 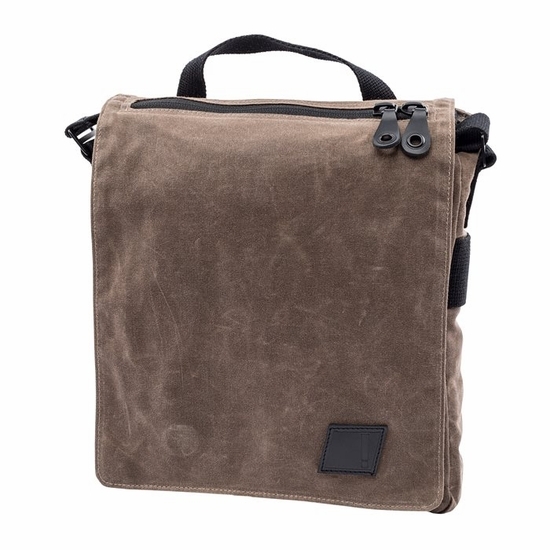 The loop-lined storage compartments accept hook-back/Velcro® holsters and accessory panels. The magnetic closure lid is adjustable to increase bag capacity.